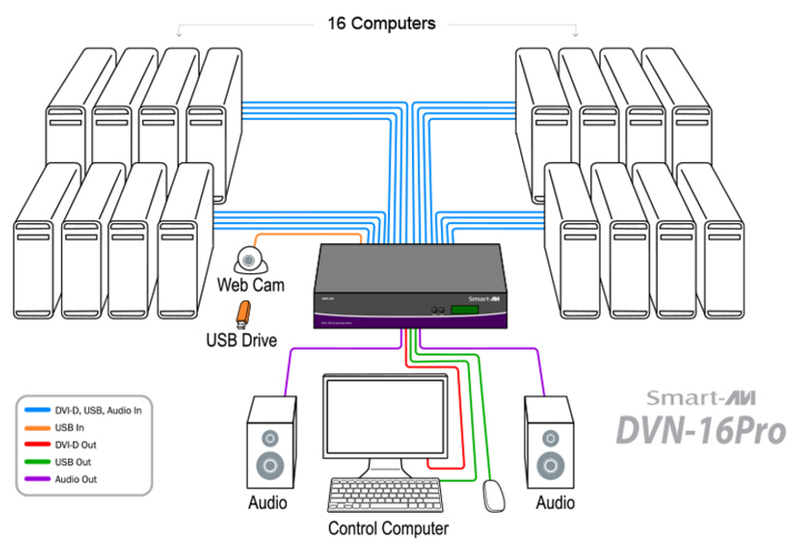 DVN-16Pro is a dedicated multiplatform DVI-D KVM switch capable of managing up to 16 different computers through a single KVM configuration. The USB emulation technology utilized by DVN-16Pro enables immediate hotkey source switching through a remote USB keyboard and mouse. 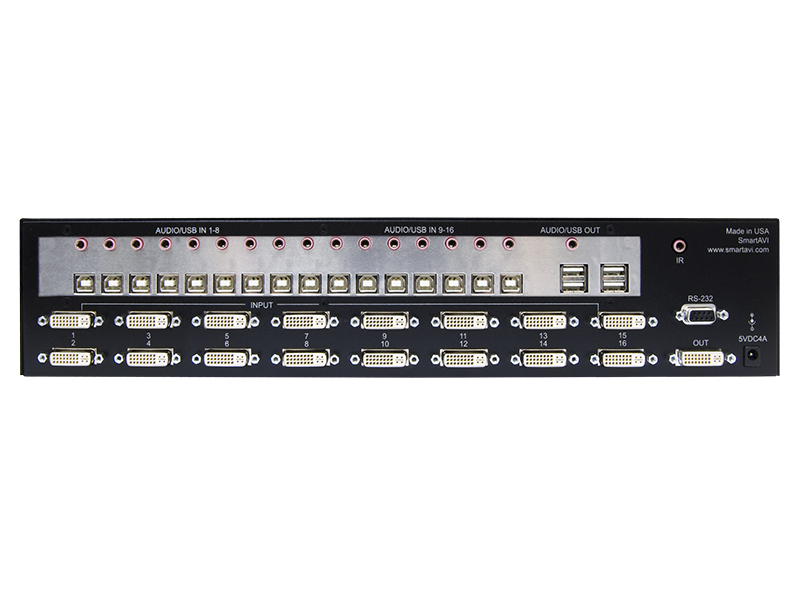 DVN-16Pro uses single link connectors providing high resolutions of up to 1920x1200 with zero pixel loss from TMDS signal correction. Hot-key commands can be used for quick channel selection. Independent (asynchronous) switching of KVM and peripheral USB/audio ports. This means that you can listen to audio from one computer while working on the other OR scan a document and save in another computer. 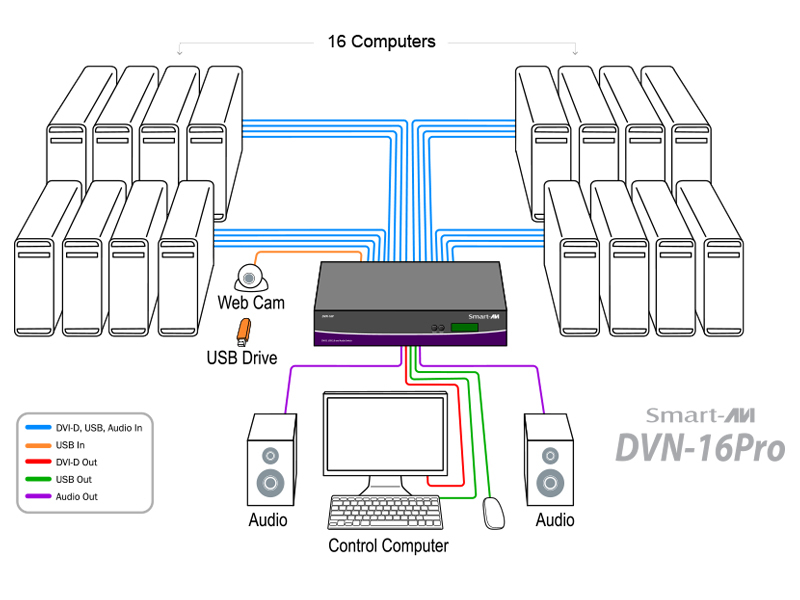 The DVN-16Pro has a broad range of applications, but the main function of this KVM switch is to centralize the access of several computers into one comprehensive PC. Not only does it function as a KVM console, it also supports USB 2.0 functionality. This allows a user at the console to use USB devices that would otherwise be unavailable with conventional KVM devices. For example, it allows a user to use a flash memory drive or camera without having to plug it directly into the remote computer. 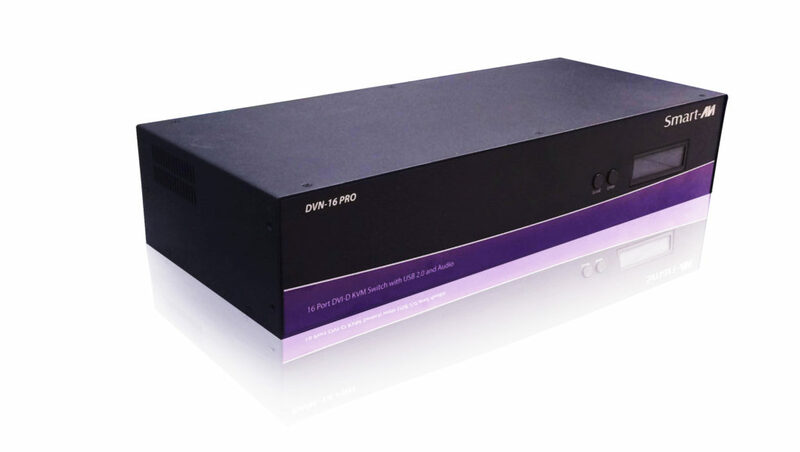 DVN-16Pro is a perfect solution for the medical or industrial field for instance, where it may not be practical (or safe) to have one or more CPUs in the general vicinity.